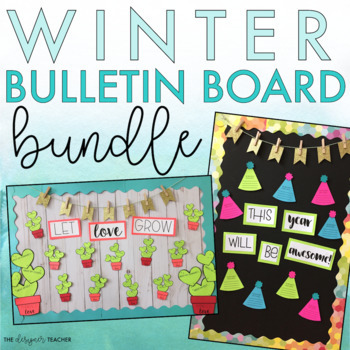 Save 20% by purchasing this bundle of my five winter bulletin board kits! You'll have fresh & fun bulletin board kits that will last you all winter, with options suitable for K-8. Themes include giving back, learning, love, kindness, and resolutions.